Nope, it didn't work.Your settings are obvious for SF2 only. Your settings crashed the game. The key is the answer to the question: why do those sea tiles have other height than the majority ones ? They should be all at the same level. why do those sea tiles have other height than the majority ones ? They should be all at the same level. They are at the same level. And even if they aren't, generally you wouldn't see such cracks because all elevation changes appear smooth with this terrain engine. The more I look at the screenshots the more I think it's some kind of memory issue, or something to do with video drivers. It's a bug I've never seen before. If no-one else has other suggestions about _data.ini values, then I think that SF1 simply can't deal with 250m heightmaps properly. All the used terrain shaders are listed in the _data.ini file. If you have replaced those statements with SF1 ones, then why do you think that SF2 shaders are being used? There's no mistery; you have that bug over sea, and those sea tiles use the water shader. Nothing different from the other areas where the bug doesn't show. So it's not about the shaders. I meant the SF2 engine, I was wrong adding to the reasons the SF2 shaders (implying that they could have any involvement in the issue), my mistake (I was carried away). And yes, you are right, the shaders are not the problem, BUT the reason responsable for unequal sea tiles heights, in those areas, is! At least that is what I suspect. 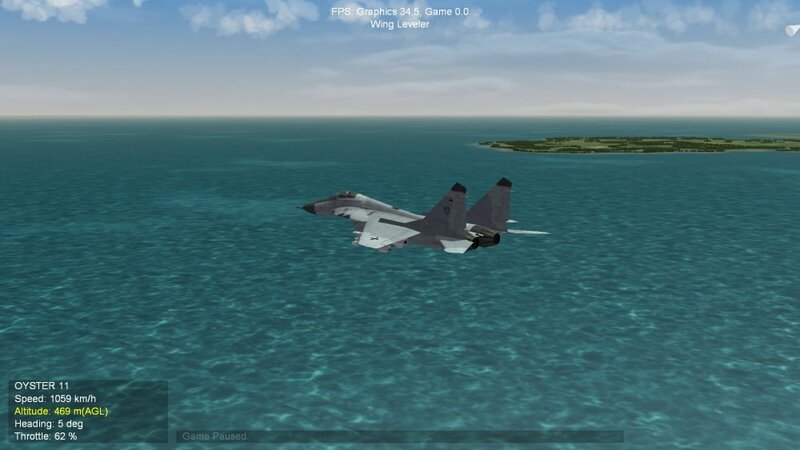 Could you, please, when you will have time and disposition, check this terrain in SF2 environment and when I say check, I mean to ask you to check every square of sea texture and confirm that those tiles height differences won't appear ? I want to try something, but first I want to be sure of this matter, otherwise it's in vein. Thank you. I did. And other hundreds of users who downloaded the terrain did, and have never reported such bug. I built it for SF2, not for SF1. If it doesn't work in SF1, I'm not surprised at all; 250m resolution heightmaps already push the SF2 engine to some limits. No offense, UllyB, but you should know that I am rather obsessed with perfection, and I hate to release stuff which shows bugs whatsoever. And even if I do release bugged stuff, I'm always ready to fix issues later. Not many (paid) developers are like this, nowadays. 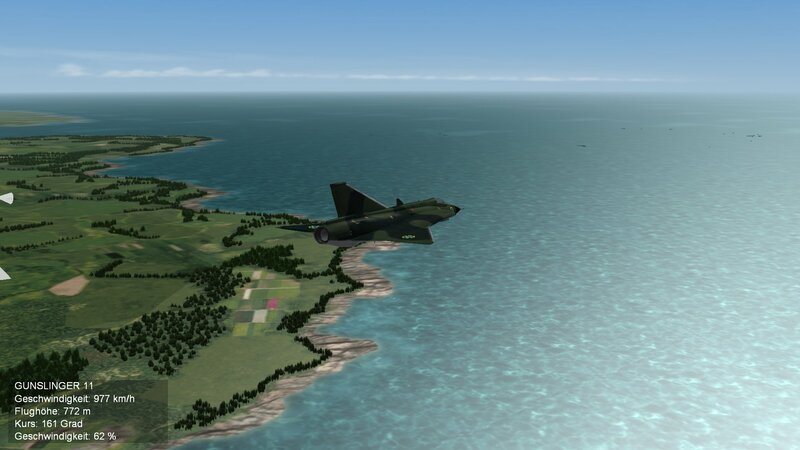 The terrain has been released for SF2 for quite some time, and no one complained about it to this moment. So, that tells me that it is working and it is rather solid, in SF2, on multiple machines. SF1 is very similar to SF2, but not identical. SF2 can deal with 250m heightmaps easily. SF1 looks like it doesn't. I can only suggest that you try experimenting with values in the _data.ini. That bug you call with "height differences" it's not a bug with height, it's a rendering bug. The height is plain in such areas. You can see it for yourself with gerwin's TFDtool. alright then, now it's clear. I upgraded my WOI engine buying the add-on, which brought it to 2010 july, but there was no improvement. I'll see what I can do in these circumstances. If I can't get it work, as it should, in SF1/WOI, I will have a regret, 'cause I really like your terrain. Thank you for assistance so far. But, out of curiosity, have you only tried Sweden? Because I would be puzzled to see that my other terrain packages work in SF1, then. Give a try at those with a bigger sea area, and report back. Also, if you're using SF1, you should try Fubar512's shaders. He improved both the terrain and water shaders. And of course, re-enable the shader statements in the _data.ini. You're probably the only one testing a 250m heightmap terrain in the SF1 engine. Hence why I guess there is not so much support. Stary discovered that such heightmaps work flawlessly in SF2, with some _data.ini value tweaks. Even 125m heightmaps can work but, according to Stary, only with smaller or stock-sized terrains, otherwise CTDs and visual anomalies like yours could appear. If such terrains don't work with the original values found in my package (except for the material/shader settings, which must be stock SF1), I guess chances are slim. Have you also considered lowering or increasing the graphics options in the game's menu? This is the only other thing I could ever think of for this issue. As for terrains, I think I have madagascar which is made by you and four SF2 ported terrains, Iceland, Korea3, Desert Storm and Falkland_1983. In rest I have SF1 terrains, which I considered they worth downloading: Cuba, Desert Storm, Israel2, Kamchatka, Northcape, Baltic Sea, Persian Gulf and the stock ones: Vietnam, Germany, IsraelME, Desert. I wanted the Iran-Iraq one, but it seems that is outdated, it doesn't work at all, I get CTD, so I abandone the idea with a heavy heart, I had great planes for a IRAN/IRAQ campaign. You could help me explaining , please, what exactly do these parameters, so thisway I would know what I am doing when testing , and you know what they say: it's enough to understand the phenomena, to solve o problem. Are they fixing the height of the tiles of low and medium details ? How about these? What are they doing ? I know what a threshold means , but what is the meaning here ? These are the ones you were saying ? Yes, those are the shaders. As for the above statements, the hell I know what they exactly mean or how exactly they affect something. All I know is that they have to do with the level of detail of the terrain mesh. It's sort of self explanatory; distant areas are not full quality. Only when you approach them, the higher quality mesh is fully loaded. But please, first try other terrain packages I have made. I need to know if you have the same issue on them too. ok, I'll try them. Thank you for your support. I put Fubar's water shaders into Falkland terrain , on which sea is a little static and the change was noticeable, the water is now somehow animated and it looks/acts different. Thanks again for the tip with the shaders. Nobody told me until now about them. Sweden Baltic Rim terrain when i use WoI OperationKadesh Jul2010 installation. It shows no problems with water tiles. No squares or other anomalies. Have you check ALL the sea textures, all the area ? First I was fooled , too that everything works, until I bumped into those areas. My estimation is that those "cracks" are on 20% of the sea textures, so keep in mind that 80% of them looks as they should and that map is BIG. If you look to one of the two pics I attached above, you will see that it looks exactly like YOUR pics here.Anyway, thanks for supporting this endeavour. I have an idea, I will ask some friends who also play this game to load the same settings, to see what they got. If they won't have my glitch , I will investigate further, meaning to reinstall the game and that map only, cause ALL other things I've already tried. I abandoned the search for a solution. That's a shame, I really liked this map.